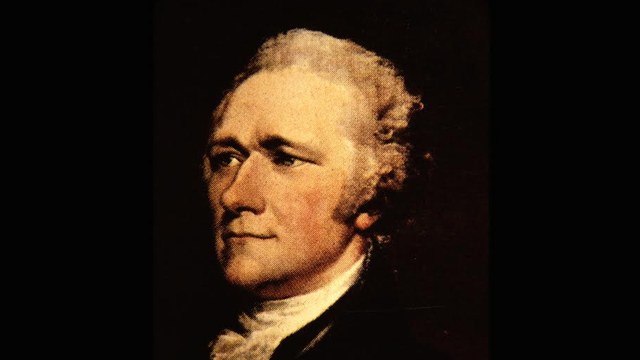 THG Network (Jan. 10, 2017) — The Alexander Hamilton Awareness (AHA) Society has planned a week of events, January 7th to 11th, to mark the 260th birthday [January 11th] of the famous Nevisian. It is now in full swing in Jersey City and Manhattan. Hamilton rose from humble beginnings in Charlestown, Nevis to become the first Secretary of the U.S. Treasury so there are celebrations on Nevis, as per usual, and on America’s east coast. According to Nicole Liburd, Executive Director of the Nevis Historical and Conservation Society, Hon. Premier Vance Amory delivered the keynote address before the Mayor and members of the City Council of Jersey City, established by Hamilton. Premier Amory will lead a delegation of dignitaries in a flag-raising ceremony at Bowling Green Park in the heart of the Wall Street financial district on Jan 11th. The St. Kitts-Nevis flag will be unfurled by representatives of the U.S. Coast Guard, which was established by Hamilton when the brave and daring Nevisian was a mere 35-year old. 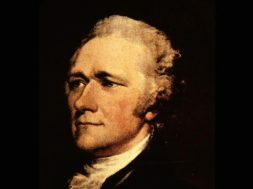 The main event of the week will be the wreath-laying ceremony at the gravesite of Hamilton, located in the courtyard of the historic Trinity Church. At this event, the Premier will also deliver remarks in memory of his fellow Nevisian. The week of activities in New York comes on the heels of the enormously successful Tony Award-winning Broadway musical – Hamilton. The several celebrations in Jersey City and Manhattan will provide opportunities for building partnerships with vested U.S. interests who are dedicated to preserving and enhancing the rich legacy of Hamilton both in Nevis and in the U.S. The annual tea party will be held on the grounds of Hamilton House on Wednesday.